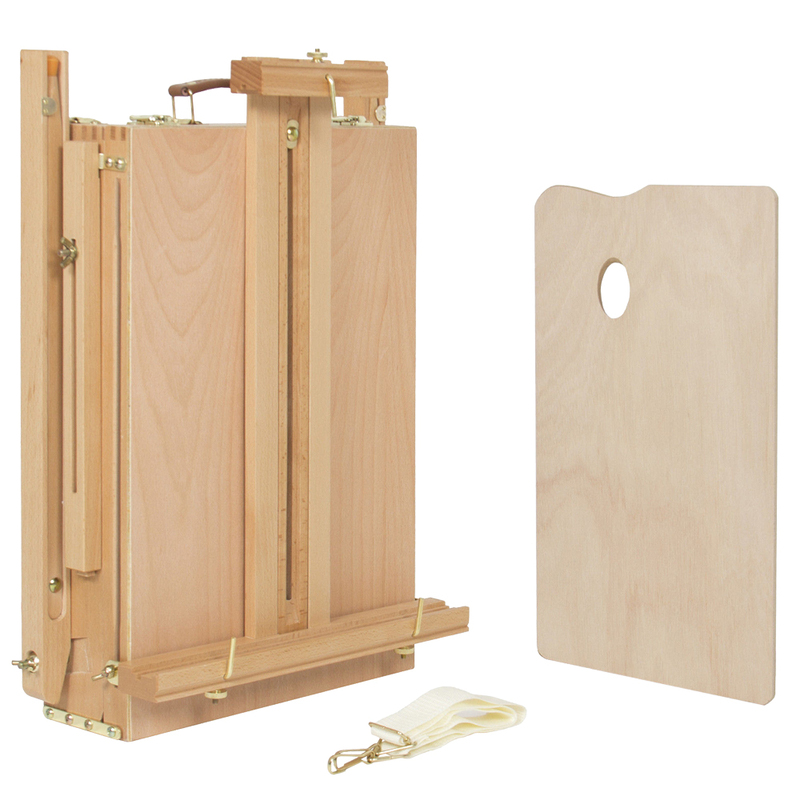 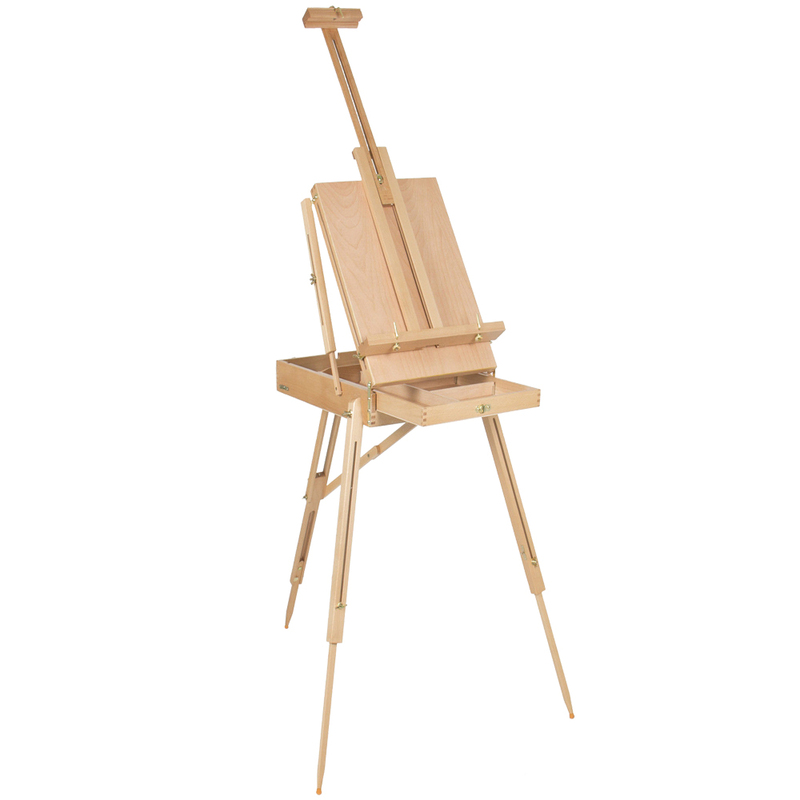 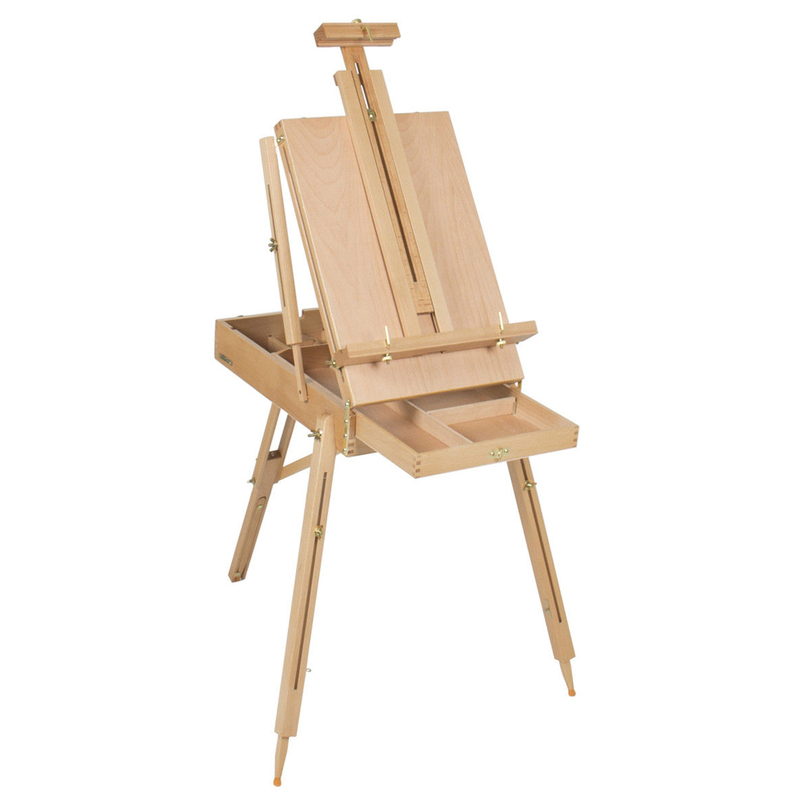 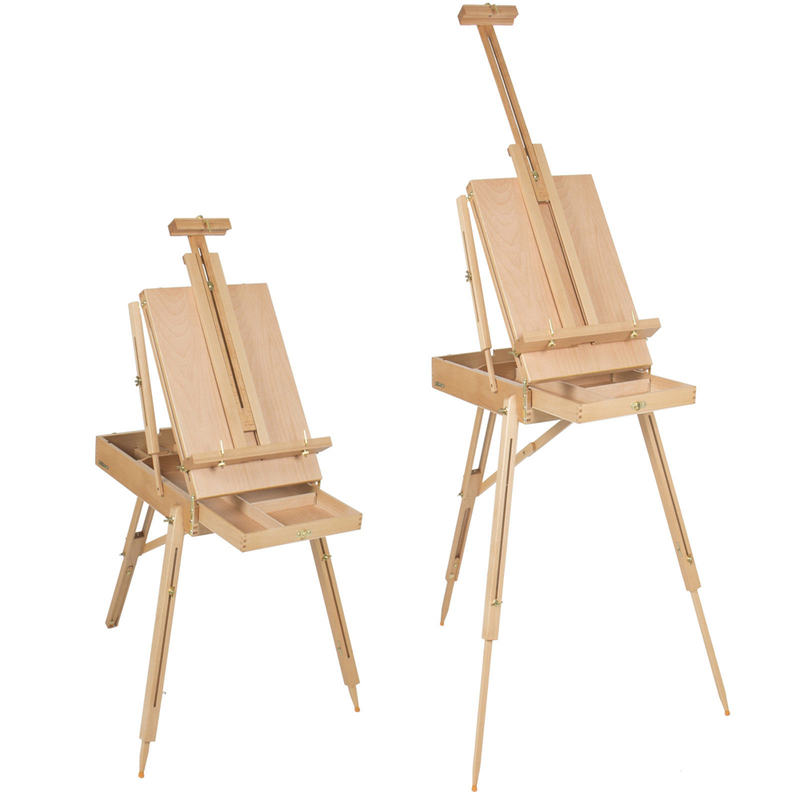 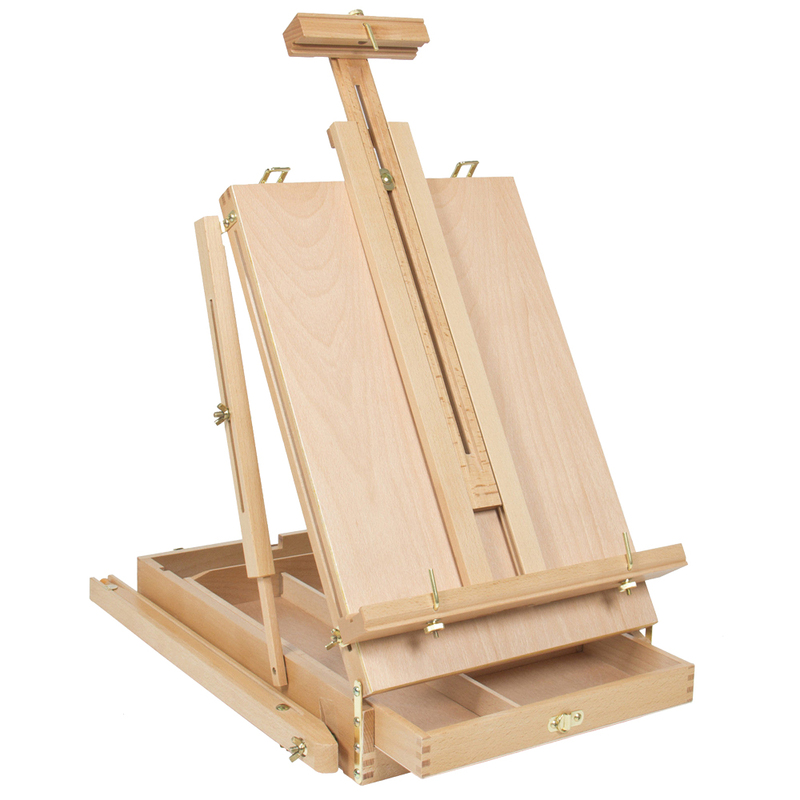 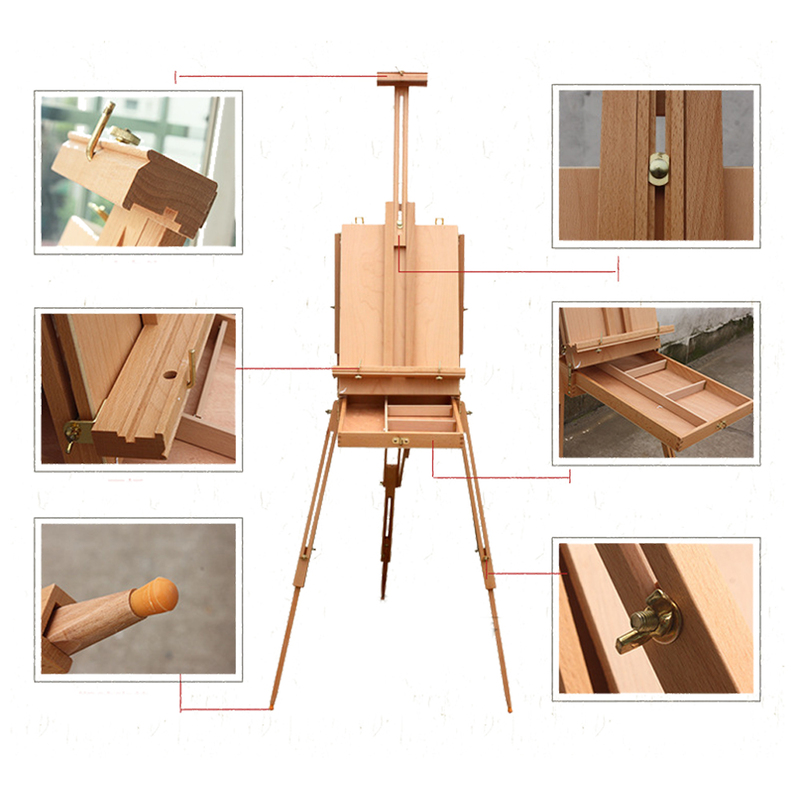 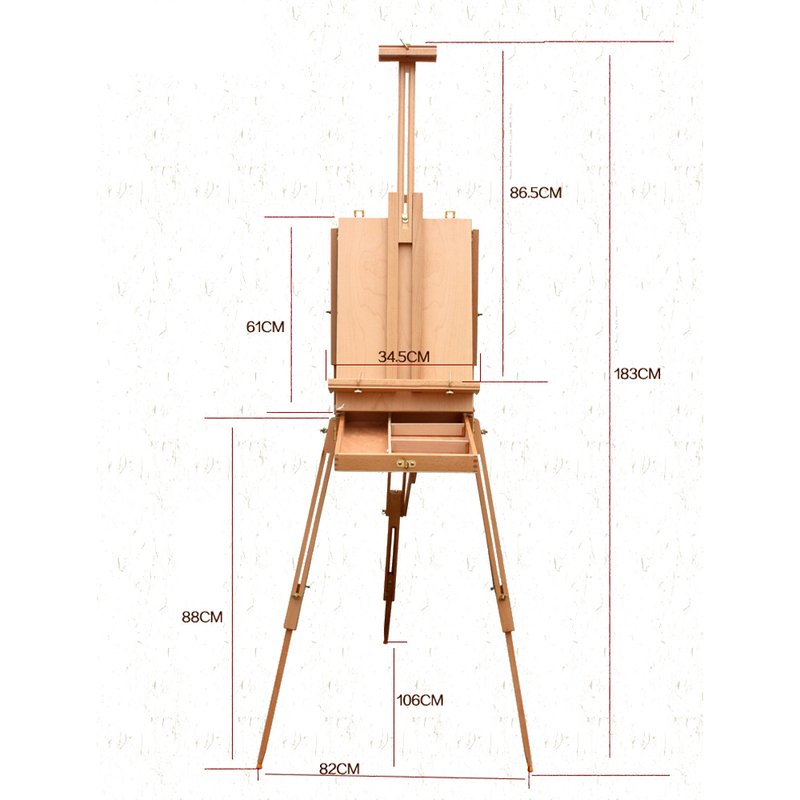 The DHX-M Premium Red Beech Portable Sketch Box Oil Painting Easel with Palette is designed for easy portability, great for students and artists who paint on location or outdoors. 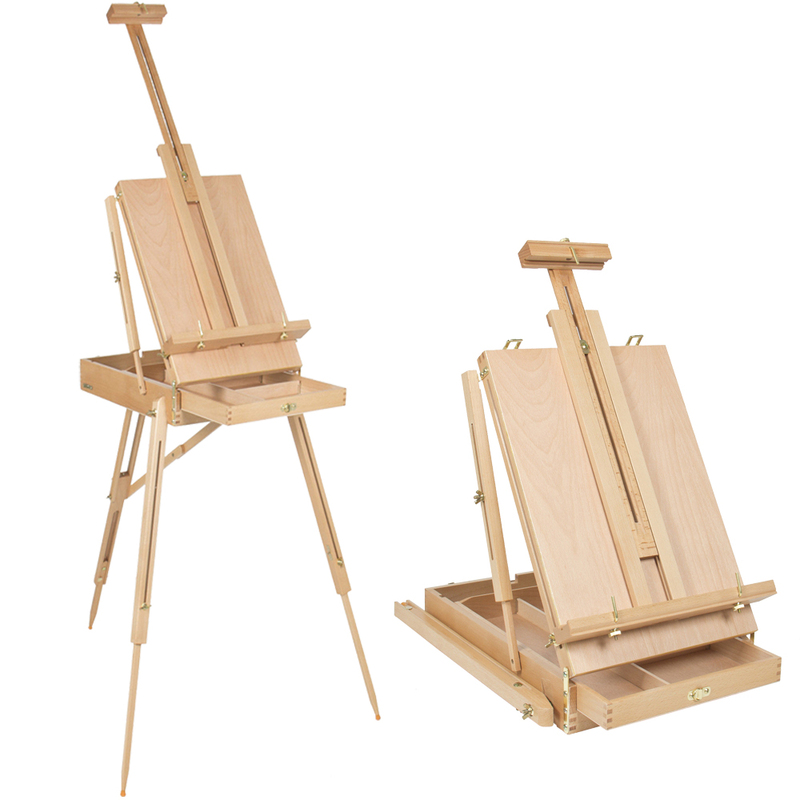 It employs telescoping legs with non-skid feet that easily lock in to position for a firm stand. 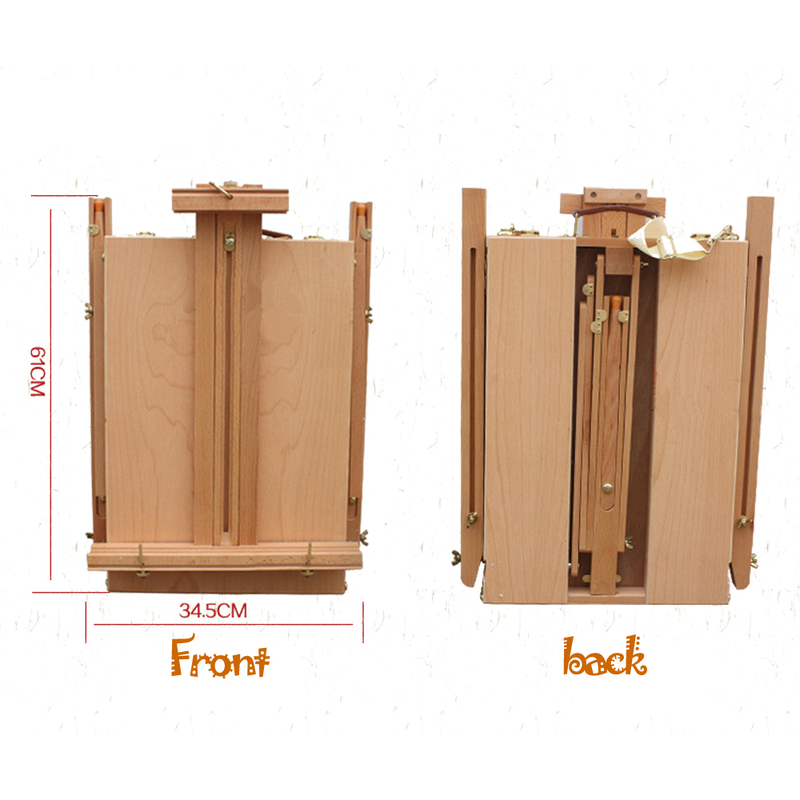 It also contains a spacious sliding drawer with four compartments. 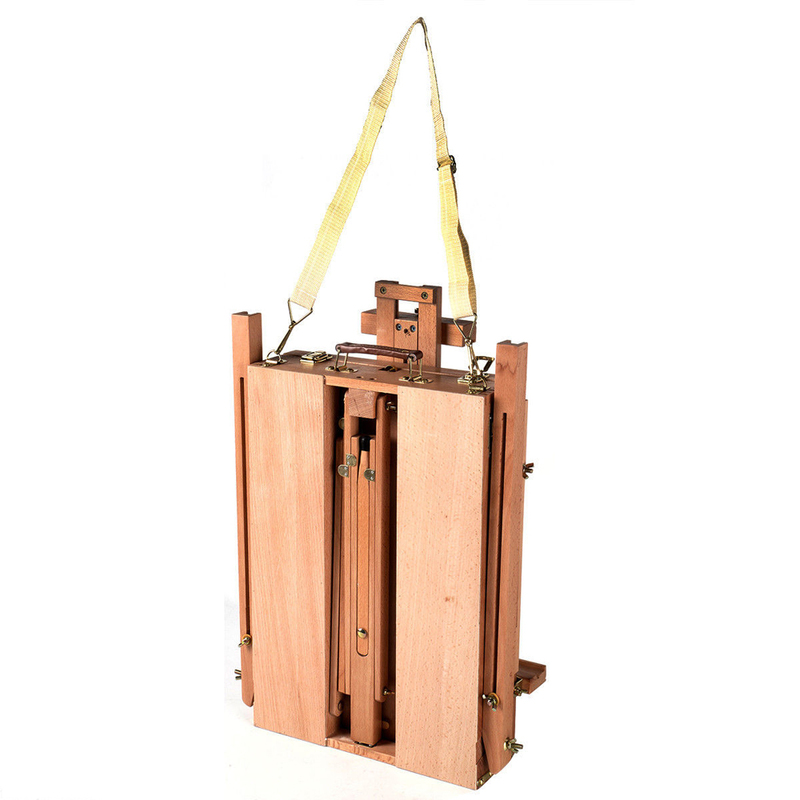 Top handle and adjustable shoulder strap allow for ease of carrying. 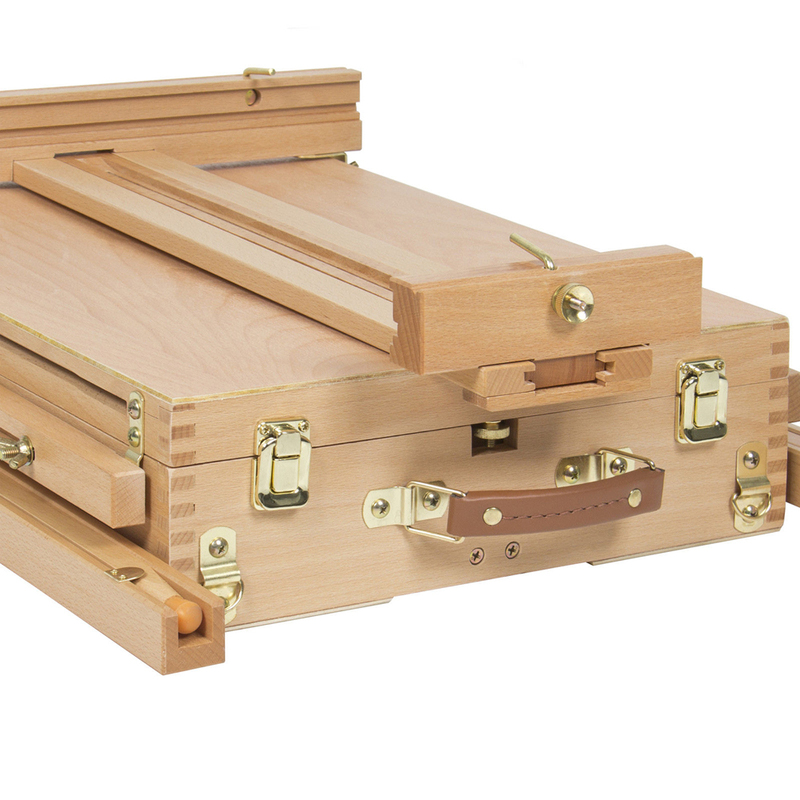 Constructed of high-grade beech wood, oil finished with electroplating metal hardware, this sketch box is sturdy and impact resistant. 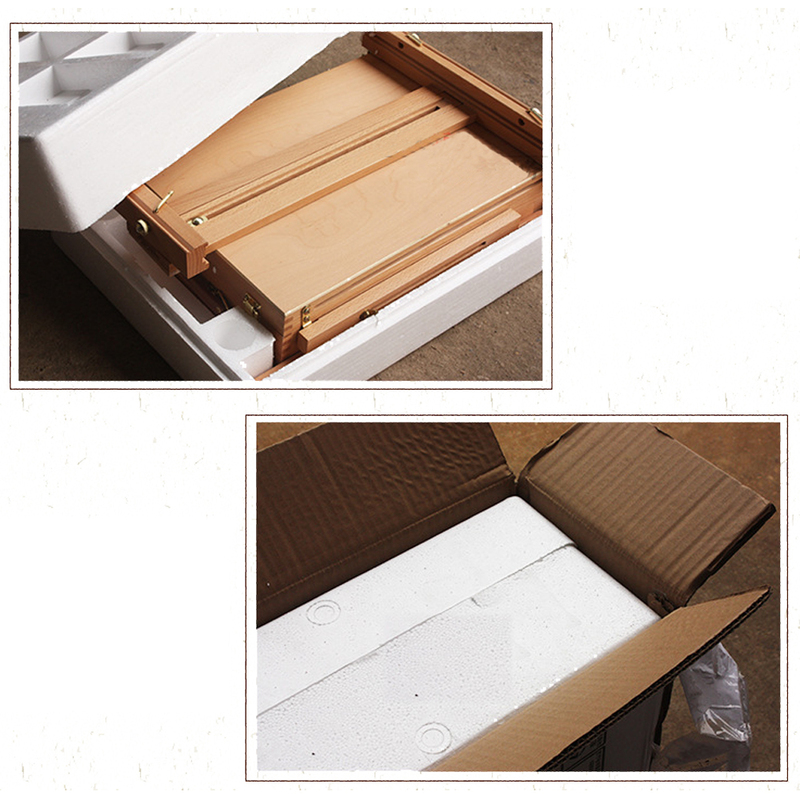 Don’t hesitate to get one!